FaceMapping is Dermalogica’s unique skin analysis that provides an insight into your skin’s past and present, and allows us to prescribe the best treatment or product for your skins needs. Developed by Dermalogica, Face Mapping takes no more than 5 to 10 minutes, and is a free service offered by us to select the right products for your skin. FaceMapping allows the therapist to recommend the best products for your skin, helping you to achieve the clear skin you have always wanted. A targeted 30 minute treatment to tackle your most pressing skin problems. After a consultation, we will determine your skins most pertinent needs and focus on key stages of treatment to get you maximum results in a minimum of time. The Ultracalming products provide relief for sensitive skin that calms and replenishes the most aggravated, irritated, reactive skin. By using the Ultra Calming product range, including the Ultra Calming Complex, an exclusive complex clinically proven to treat the causes that lead to skin sensitivity. This facial should reduce the redness, irritation, and itching skin often associated with over reactive, sensitive skin. A perfect treatment for clients of all ages created to control the bio chemical triggers that can lead to skin aging while treating the signs of pre-mature ageing, photoageing and sun damage . Products used and exfoliation resurface adds texture to the skin while energising massage techniques release tension in the facial muscles for the ultimate skin therapy of prematurely aging, mature, or devitalized skin. This treatment will give your skin a revitalising power boost leaving it feeling firmer, smoother, regenerated more nourished. While Dermalogica skincare products are designed for both men and women, mens’ skin does have special needs. This treatment takes factors such as shaving habits etc into account to help prevent ingrown hairs and other skincare problems unique to men. This luxury facial forms the foundation of Dermalogicas selection of Services. This facial is truly revolutionary because it is customised to your skins own needs every step of the way. Your personal skin therapist will perform a full face mapping to discover your skins needs and then uniquely match up the products to best benefit your individual concerns. Dermalogica’s formulas have pioneered new standards for product performance. By using the unique complexes and Botanical mixes throughout the facial, we can treat all skin concerns, and help you achieve clear healthy, happy skin. Minimum time, maximum results. Full use of power cleanses, exfoliation, facial pressure point massage and moisturizer. Relax whilst your skin is taken into a restful mode. A special soothing massage is given to stroke away upper body tension. 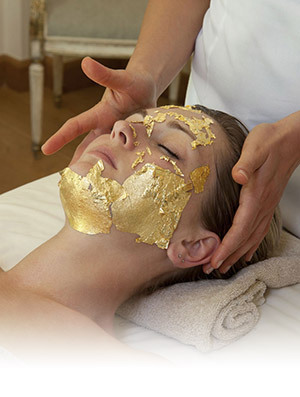 Special facial performed based on client’s specific skin needs and concerns. Rich with anti-oxidant minerals and vitamins, this purifying treatment helps remove damaging toxins, regenerate skin cells and rebalance sebum. The results leave you with remineralised, rebalanced and renewed skin. This facial is designed for skin challenged by modern living. A form of skin resurfacing using Crystals to remove the outer layer of lifeless, congested and dull skin to reveal younger looking and more radiant skin underneath. Fantastic treatment for mature and prematurely aging skin in need of firming using anti-ageing serums.